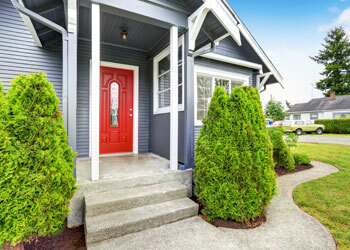 When your home exterior demands a face-lift, wrap it with protective siding that's attractive and durable but does not dig a hole in your pocket. Vinyl sidings are one of the best options in siding. If you are thinking of siding replacement in your Mill Creek home, the right siding can make all the difference! Builders Service Company prides itself for offering premium preservation vinyl siding replacement services in Mill Creek, WA area. 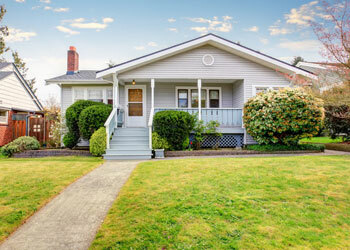 Vinyl residential siding improves curb appeal and offers greater protection. So whether Mother Nature throws high winds, hail, snow or strong sun, with our premium exterior siding with contoured foam underlay, you have nothing to worry about. You can replace siding in your home anytime. When winter approaches, you want to be cozy and comfy inside the house. Residential siding replacement is no easy job. Let the experts, who know the right techniques to replace siding, handle the job. Our team of siding experts will perform vinyl siding installation quickly with high-quality workmanship. Once you replace siding you can enjoy the low-maintenance exterior covering which only needs periodical washing to remove dust and dirt from its surface. It would not rot or require painting like wood sidings. Why replace siding with vinyl siding? When Mill Creek area residents decide to replace siding, we can help in selecting the best residential siding option that serves its purpose well and matches the overall design and style of the home exterior. When choosing preservation premium vinyl residential siding for your Mill Creek area home, remember vinyl siding is available in a plethora of finishes and colors. We will be glad to show you our vinyl siding collection and discuss your residential siding needs before the entire siding replacement begins. You will be amazed to look at the vast choice you have to replace siding in your home. Our siding replacement experts will make your residential siding replacement job fast, easy and affordable. To replace siding in your Mill Creek, WA area home with Builders Service Company, call now on (206) 430-1927. We are the residential siding experts offering premium vinyl siding replacement since 1974.